The O.O. Keiver Lumber Corporation was established in 1953 in Beverly, Massachusetts by Osmund Keiver, Sr. In 1970, Emerson "Speed" Willard partnered with Keiver and formed Keiver-Willard Lumber Corporation. In 1976, the company moved its operations to historic Newburyport, Massachusetts to expand its distribution and millwork operations. 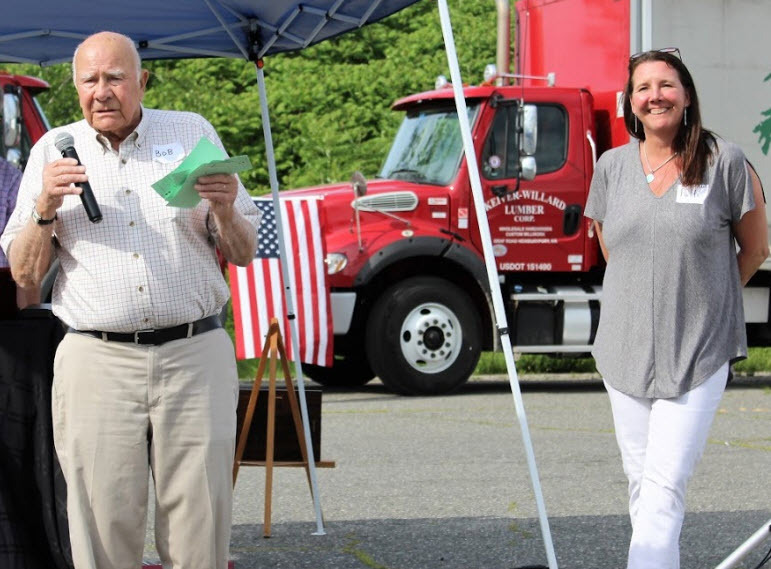 Osmund's son, Robert D. Keiver ran the company succesfully for many decades and recently stepped back and handed over control of Keiver-Willard to current President, Patti Heintzelman, his daughter. Keiver-Willard receives regular shipments of domestic and imported hardwood lumber daily from environmentally conscious sawmills across the United States and throughout the world. Our sorting shed processes 20,000 board feet of material daily. All incoming lumber is inspected for grade and moisture content, and tally accuracy. Many species are sorted based on width, length, color or grain characteristics. Once orders have been scheduled, our experienced shippers tally orders based on specified customer criteria before preparing the lumber for milling or final delivery.